I come to school by car. My father is a doctor. Home What fruit is this? Topic: What fruit is this? 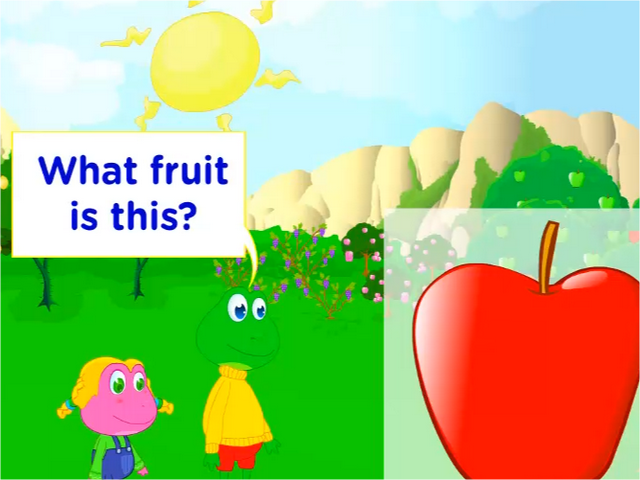 Communication Objectives: To ask about fruits and to express like. Language Objectives: To ask and respond to yes or no questions in the most basic form. Vocabulary: fruits – apple, lemon, orange, banana, pineapple, peach, avocado. Grammar: Practice using yes-no questions 'Do you like…?' to ask about a person's preference. Also reinforce the use of contractions. At FreddiesVille.com, we do not pass on to third parties any identifiable information about our users.Your email address and information, will NEVER be given or sold to a third party. Feedback or questions are welcome.